Magyar Elektronika (Hungarian Electronics) one if the oldest player in the technology media in Hungary. It was founded in 1984 as a printed media for the professional electronics and automation industry. Magyar Elektronika Magazine is directly mailed for subscribers, industrial managers, decision makers, buyers, engineers working in development, test and measurement, sales and support, installation and maintenance managers. Sample copies of our Magazine are handed over the attendants of relevant events, exhibitions, fairs and conferences. The real number of our readers are certainly higher than the number of released copies. A number of reader feedbacks informs us that a copy mailed to a company reaches multiple interested readers. Therefore most of our released copies hits managers and relevant tech experts. Most of them can directly decide about selection and buying of devices, equipments, or system solutions, instruments, components, development tools and so on. The main title of our Magazine is unchanged since its foundation. 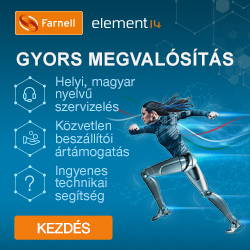 Magyar Elektronika (means Hungarian Electronics) is Hungarian, because Hungarian market and companies are addressed in Hungarian language in the homeland and Hungarian speaking experts of neighbour countries. Also it goes about Electronics. However the meaning of the word „electronics” has radically changed since our foundation year of 1984. Then Electronics was an independent science of engineering, but now it is an auxiliary engineering science for any areas of our everyday life. 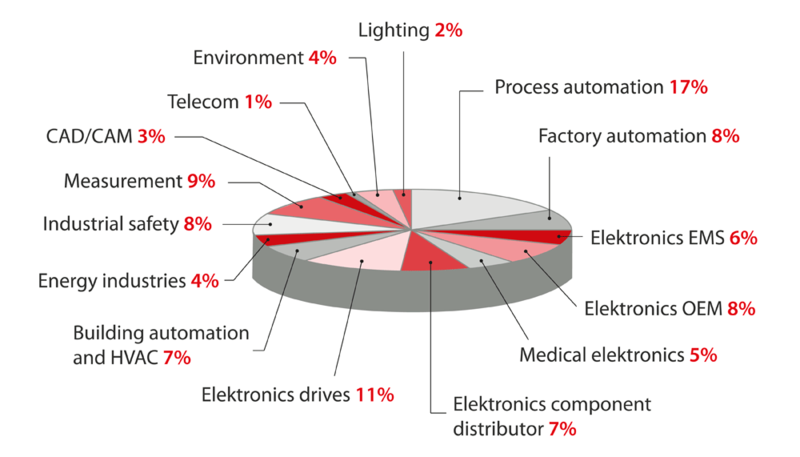 Nowadays electronics design, development and production are mainly automated – it has become a fully industrialized routine process supported by technology equipments, machining and software. Main focus of design creativity is moved to the area of applications. So we cannot be satisfied introducing electronics and informatics as „stand alone” branches of technology. Value of Electronics is exactly the same as the value of its application for the human society. That’s why now we are focusing our activity on the area of application. Our mission is to be up to date, informative, carefully checked, professional and reliable source for deeply interested engineering community. We want to be understandable, readable and demanding in content, language and appearance. 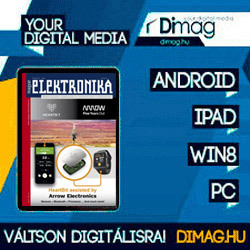 The very first issue of Magyar Elektronika has been published as a bi-monthly technical magazine by the editorial office operated by National Library and Centre of Technical Information, defining itself as a „journal of developers, manufacturers and appliers” – managed by the first Editor in Chief Dr. Peter Horváth. Since the year of 1987 Magyar Elektronika has been changed to monthly issues. The profile of the magazine was also changed. 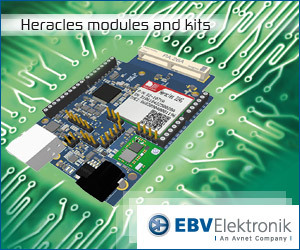 Topics of hobby electronics, teaching and game computers has been left, and started to focus on professional electronics applications. In the year of 1994 important changes happened in the ownership of the magazine: the former state ownership was sold for ADL Publishing Company, Ltd., a consortium of three private investors (ADL Publishing) owns the Magazine ere now. New owners continued to emphasize process and factory automation, automated test and measurement, industrial and power electronics, drives, instrumentation, field technologies, components and system solutions. These changes can be summarized as the „Professional applications of electronics”. This web portal is also created and continuously developed. Thus Magyar Elektronika is a really traditional player of Hungarian technical media, which can keep pace with the development of the industry. Our mission is providing reliable, demanding and wide look to the industries related to electronic applications, informing decision makers, experts, developers and buyers of wide range of industries. In our articles we provide information on the news of industry by interviews, company intros, event reports. Our technical papers introduce developments and applications of new technologies. Topics most frequently displayed in Magyar Elektronika are listed below. Printed version of Magyar Elektronika is distributed for Hungarian industrial personnel and foreigners interested in Hungarian market by mail based on a frequently updated database of our business-to-business relations. A number of copies are also mailed to subscribers. Our Magazine is also represented regularly in exhibitions, fairs, conferences and events and all of their attendants can get sample copies as handover. For a quotation/Media Kit please contact us. Please click here to get the Publication Programme. If you are interested in personal experience of our Magazine, we send you a copy of the latest issue free of charge (limited by stock). Please send an email to info@magyar-elektronika.hu to ask a sample copy. Digital Subscription is also available. If interested, please click Digital Subscription. Your opinion, impression or any other feedback is welcome. H-1148 Budapest, Fogarasi út 5. 27. ép.